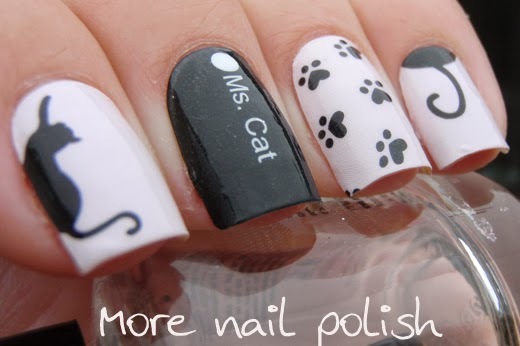 Today I have another set of nail polish wraps to share with you, and they are simply the most adorable design ever! 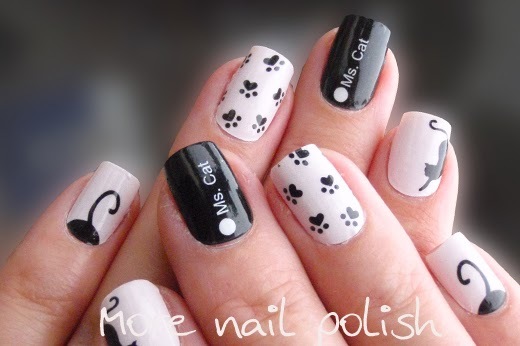 These are Melodi brand nail wraps from the Born Pretty Store and they feature a mix of different cat designs. 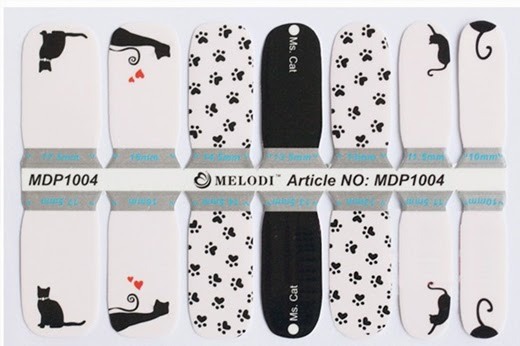 The pack features six different designs on 14 nail strips. 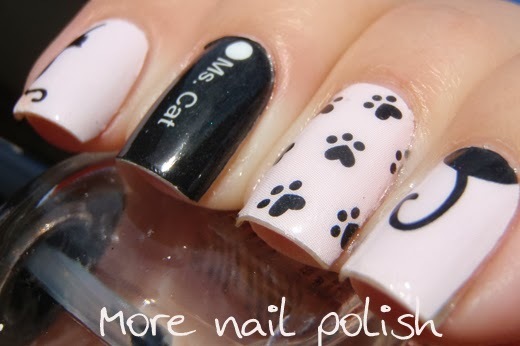 Only the paw prints are repeated. 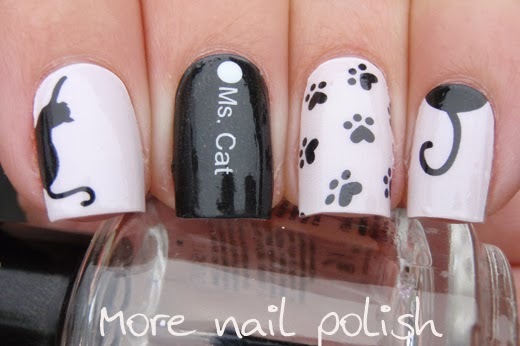 One pair of strips has a black base and the words Ms. Cat and the remaining ones have a pale pink creme base with various cat images. Application was just as good as any other brand I've tried and the wraps had a nice shiny finish without needing top coat. 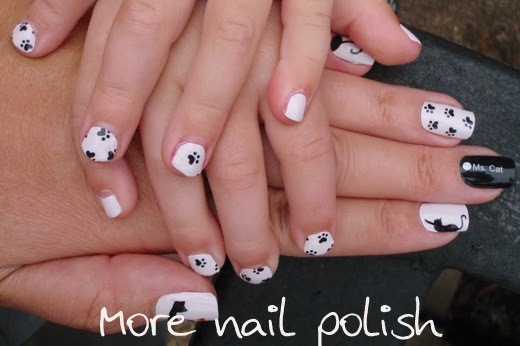 I used the remaining strips in the pack to put together a pink and paw print mani for Miss 3. She told me she loved them, but it didn't stop her picking them off within 48 hours! These next photos were taken in the sun at the end of day two, so they show some tip wear. I've added these to my ongoing brand comparison wear test. These stood up surprisingly well, especially considering I was swimming everyday wearing these - and usually my nails chip off on the first swim in the pool. Whilst I'm really happy with the wear and quality of these nail wraps, what I'm not so happy about is the time taken to ship my order. From the time I placed my order to when it was marked as shipped in my profile was four weeks! It then took another two weeks to arrive. I'm very happy with two weeks shipping, but having to wait a month for the order to be packed and shipped is far too slow in my opinion. And it's not just this on occasion, I place another order on 28 December, and it was only marked as shipped today, so just under three weeks to have it shipped. I have emailed them about it, and they reply very politely with apologies about the delay. I really hope they fix their shipping process, because I really love products from the Born Pretty Store. If your prepared to wait for the shipping, you can use my Born Pretty Store code of MNPG10 for 10% off.. 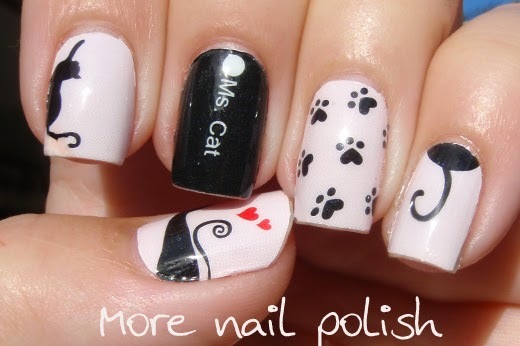 These are super cute and I love your little ones nails. 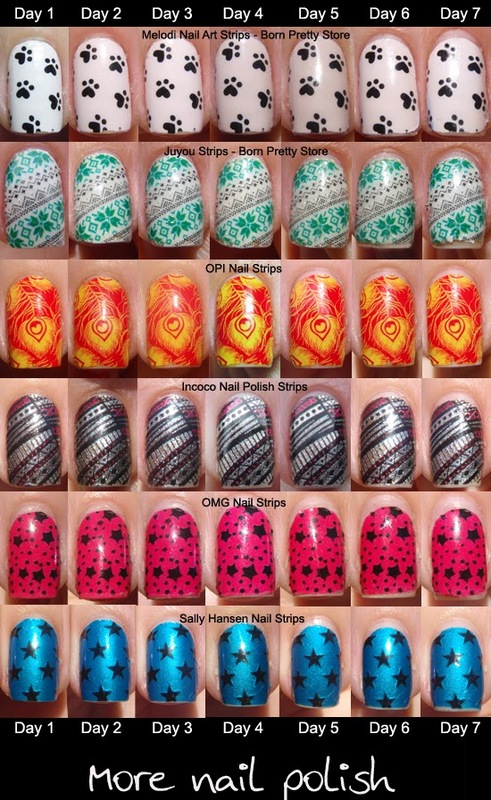 I ordered the water marble decals and got them yesterday. Maybe it is because I am in the USA, but I thought that they shipped them really fast. Shipping for me was horrendously slow as well - I ordered in what I thought was enough time for the items to arrive by my mom's birthday in November, but they came literally just a day or two before Christmas. Oh well, at least they came. Also, weirdly, the site wouldn't let me use any of the many promo codes I had.